Our friends, Becky and Gary had there first baby on Monday and he is beautiful and wonderful and I am so happy for them. Welcome to the world, Mathias! He was a little early in coming, so what was intended to be a pre-baby shower turned in to a post-baby shower. We convened at Becky and Gary's house for yummy treats, baby snuggles, and good conversation. 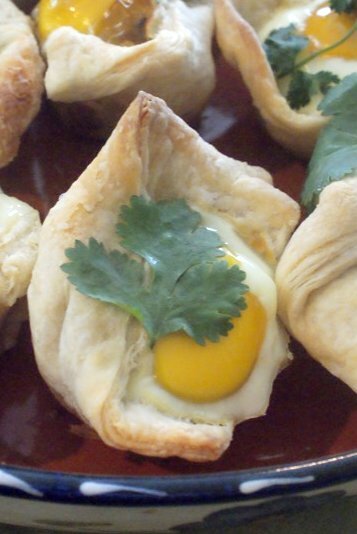 I was googling around online last night trying to find a savory brunchy recipe to make for the party and came across these Bacon & Egg Tarts on a beautiful Australian food blog. 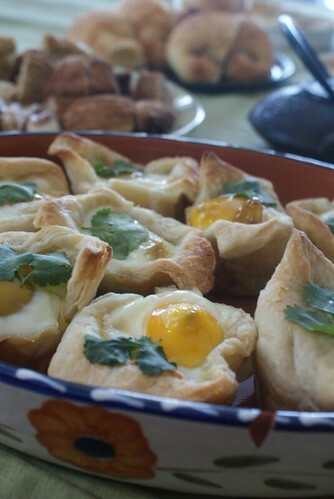 They were a big hit and so easy to make. I will post more about my version later this week. I took a few hours to sew the other night. 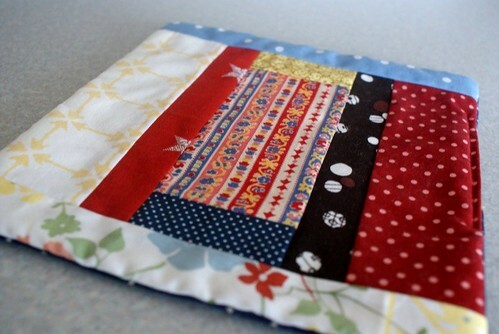 I had no plan, I just wanted to relax, use up some scraps and create something useful. I pulled together a little log house patchwork hot pad for the kitchen. It turned out much better then I expected and relieved a little pent-up creative steam. It was sale weekend (through Saturday) at our fabulous local fabric boutique, Selvedge Studio and I had a gift certificate! I didn't have a specific project in mind, so I just grabbed a dozen or so half-yard pieces of a variety of different fabrics. I got such a great selection and it was so much fun. Mmmm, the tarts were delicious! And the presentation so pretty. Thanks for finding the recipe and trying them out on us. I love that owl fabric so much! I swear I buy some of it every other time I go into Selvedge. I really need to find something to make out of it and get on it! 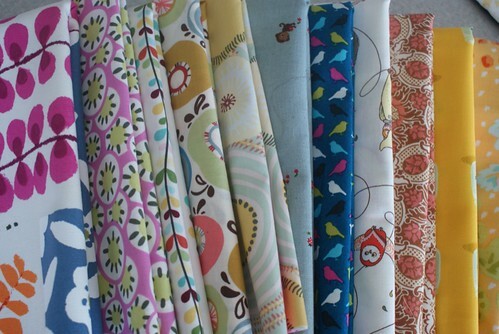 I like the owl fabrics. . .the color looks so sweet.